A SERIOUS LEVEL OF SKILL IS REQUIRED TO PERFORM INJECTABLE TREATMENTS and to GET BEAUTIFUL, DESIRABLE RESULTS. These are experts and are qualified to give injectable treatments: Board Certified Plastic Surgeons; Facial Plastic Surgeons, Dermatologists or Oculoplastic Surgeons, specially trained RN’s, CRN’s or PA’s who work directly under a surgeons supervision. The KEY WORDs to look for in their advertising is: Specially Trained Expert Injector. 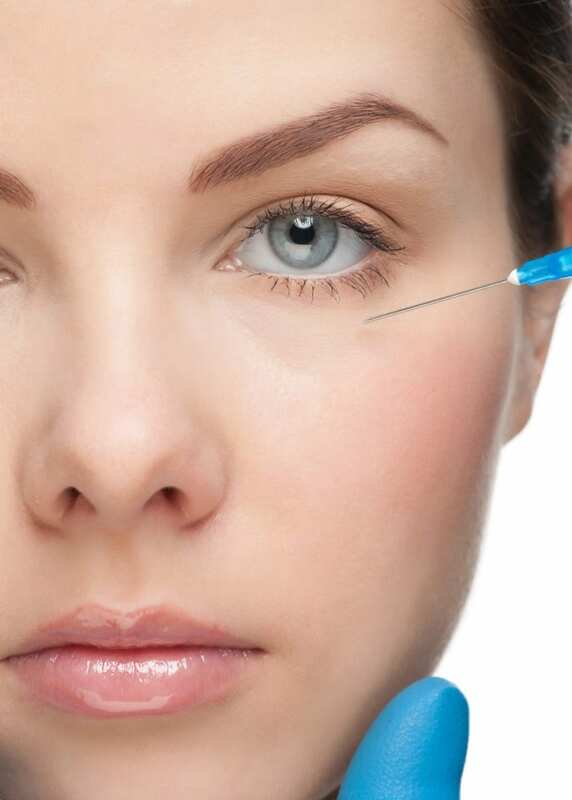 These people have specialized training, are certified in injectables of every kind and have a vast knowledge base of their best uses, the risks involved, their history and much more. PEOPLE NOT QUALIFIED TO PERFORM INJECTABLE TREATMENTS: include aestheticians, hair stylists, cosmetologists, dentists or medical professionals who have not been specifically trained to use today’s injectables. They are not Expert Injectors. TRUST YOUR DOCTOR’S OFFICE: The only place you should get injectable treatments performed is in your doctor’s/surgeon’s office or Medi-Spa within that office under the physician’s direct supervision. DO NOT GET INJECTABLES AT YOUR LOCAL SPA or SALON! They are not qualified nor medically equipped for routine injections or for emergencies in cases of injury or health complications. They are not required to follow medically defined sterility and health standards and they are not supervised by an on site doctor who is responsible, trained and experienced. HTTP://www.davinciplastic.com. INJECTABLES DO PREVENT LINES and WRINKLES and LIFT SAGGING SKIN…Today’s injectables are truly amazing and they do achieve results either instantly or gradually and subtly. BOTOX® is the well known “denerving agent” used to smooth out existing lines and to prevent future ones. FDA approved in 2002, Botox works by relaxing/paralyzing the muscles in motion that create smile lines, forehead lines, parentheses between the eyes and Botox, (Botulinum Toxin Type A) has been used therapeutically since the early 1950’s for treating spasms, uncontrollable blinking and much more and today successfully treats chronic Migraine Headaches, excessive sweating etc. and is a leader in cosmetic anti aging treatments. HYALURONIC ACIDS: HA is a naturally occurring body substance that declines with aging. Similar to a sponge, HA attracts and binds to water to keep the skin hydrated and well contoured. Hyaluronic acid fills in the spaces between collagen and elastin fibers. Replacing it with injectable treatments means putting back into your body a substance natural to and recognized by the body…it’s accepted, works well and restores youthfulness! Juvederm, Perlane and Restylane are top choices to replace depleted Hyaluronic Acid. COLLAGEN BOOSTERS: These provide long lasting results while stimulating your own collagen production. Sculptra offers results often lasting up to 24 months and is excellent for filling in hollow cheeks, under eye hollows, nasolabial folds, thin lips and is used in combination with Restylane e.g. to create smoothness around the eye and tear troughs. RADIESSE also is very popular as a collagen booster and provides long lasting results while your own collagen is renewed. FAT GRAFTING/FAT INJECTIONS using your own body…when injected into targeted areas, plumps up, restores contour, fills in hollows and rejuvenates an aging face, hollow hands and more. It’s natural, with no risk of rejection or reaction. Results are subtle and continue over time. BOTTOM LINE ON INJECTABLES: We help you decide your best choices to achieve more volume, lifting, to banish lines and wrinkles and to restore a more youthful look! READY TO GET STARTED…WE CAN HELP YOU PUT YOUR BEST SELF FORWARD!